At 7:20 this morning, CPD received a call of an escaped prisoner in the 800 block of N. Loop 336. Texas Prisoner Transport Services was transporting a group of prisoners from various locations across the country. There were two guards and 10 prisoners aboard the van when they stopped at McDonald's for food. 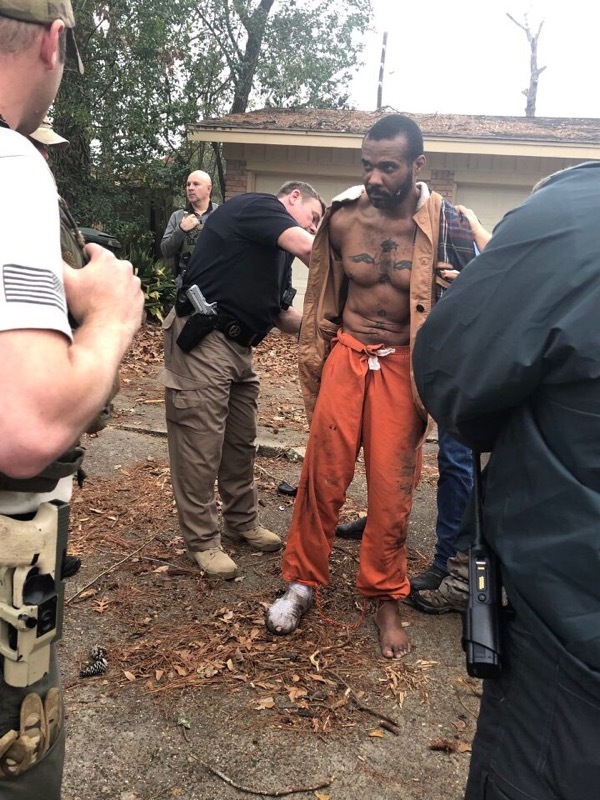 Cedric Joseph Marks was able to escape the van and fled south of the location. A perimeter was set up and a search conducted utilizing K9 officers and law enforcement from multiple agencies. After an extensive K9 search and new video surveillance emerged, law enforcement regrouped and began a grid search from the original location. The suspect was located in the 1000 blk of Windswept hiding in a trash can. The suspect surrendered without incident, is in custody and is being interviewed. At this time the circumstances surrounding Marks escape are still under investigation. Once the investigation is complete the finding will be presented to the Montgomery County District Attorney’s Office.